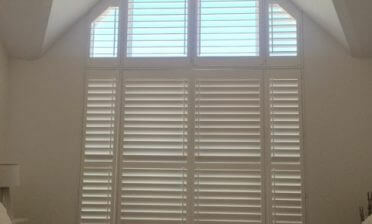 Shaun was in Sydenham in South London to install some of our bespoke shutters for a new client. 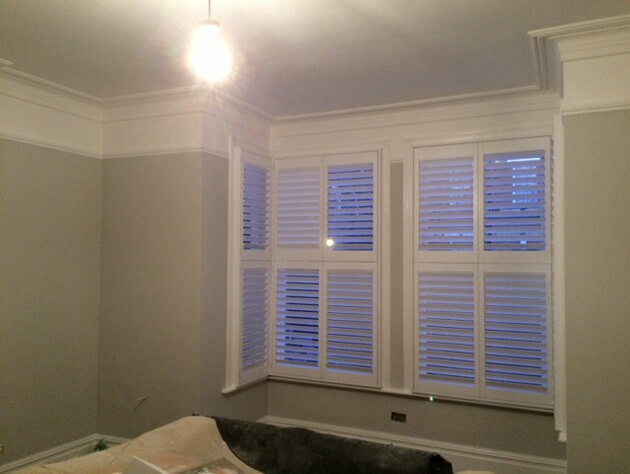 The shutters were to be fitted to 2 nonstandard windows which were not only forward facing but wrapped around to each side. Dressing this window with standard coverings such as curtains or blinds would have been very challenging and would not have been a perfect fit. 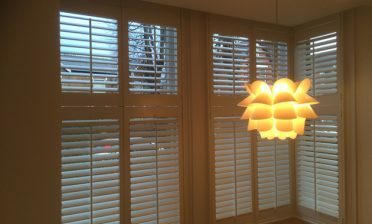 Because our shutters are made to measure we were able to fit shutters that not only operate as they would on a standard window but fit completely flush. The shutters were created from our Cuba Range in a Tier on Tier style which allows the bottom and top sections to be adjusted independently of one another. Great for maintaining privacy on the lower level while still allowing light to stream in through the top. 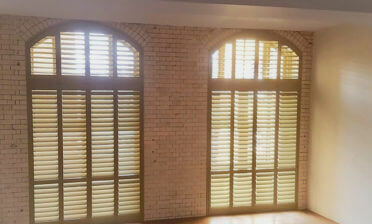 They were completed using 76mm louvres with a hidden tilt rod system throughout. The finish was in Pure White paint with matching white hinges.